As part of our 40th Anniversary Season "New Year, New Shows!" Series, we are so very excited to present the World Premiere of "Lollipops for Breakfast" by Bonnie Duncan of They Gotta Be Secret Agents, running January 31st- February 16th! 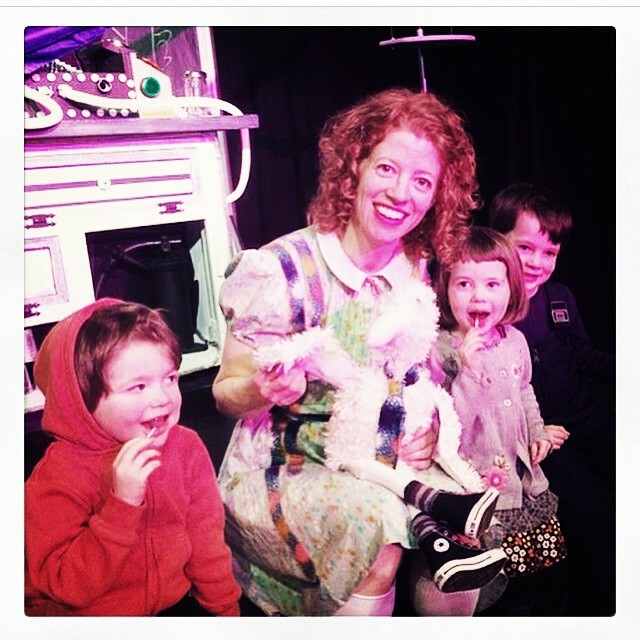 Bonnie rocked the house in 2013 with her production of "Squirrel Stole My Underpants" and we can't wait to see what she has in store for us next! You can't have lollipops for breakfast! Sylvie decides she’s going to break that rule, even if it means she has to make her own amazingly perfect lollipop from scratch. Come along as she and her trusty pet bird search for missing ingredients, wrestle with giant candy machines, and get lost in a magical pop-up cookbook. 'Lollipops for Breakfast' is a wildly imaginative ode to children’s boundless creativity. 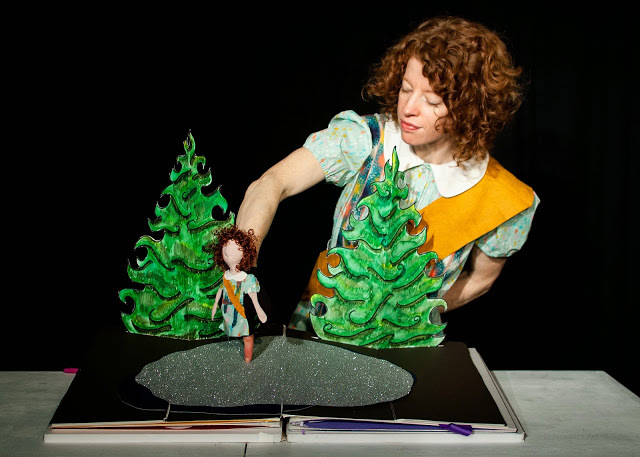 The performance, told entirely without words, features multiple styles of puppetry, original music, acrobatics, and lots of audience participation. They Gotta Be Secret Agents, established in 2007 by Bonnie Duncan and Tim Gallagher, immerse audiences into simply constructed worlds that play with and distort the grand themes of time, scale, formality and reality. Short segments of clowning, dance, puppetry, and theatre flow into one another and spin together touching moments with humorous ones. The Agents first show, Poste Restante, toured nationally and internationally and won numerous accolades and standing ovations, including the Austin Critics Table Award for 'Best Touring Show of 2011,' Best of the Fringe & Best Physical Comedy, San Francisco, 2009. 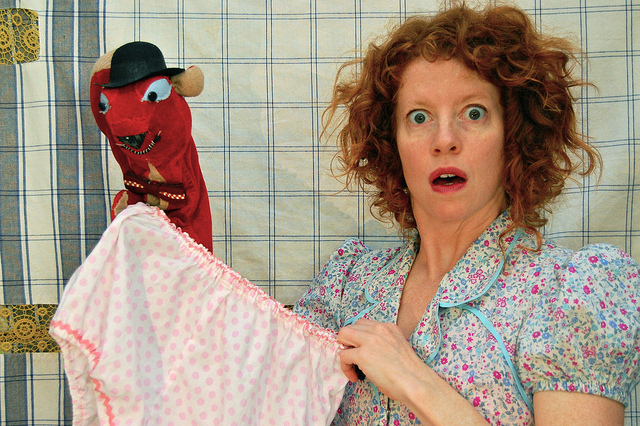 Their follow-up show for families, Squirrel Stole My Underpants, has been selling out venues and inspiring kid-made puppet shows up and down the east coast and beyond since 2012. 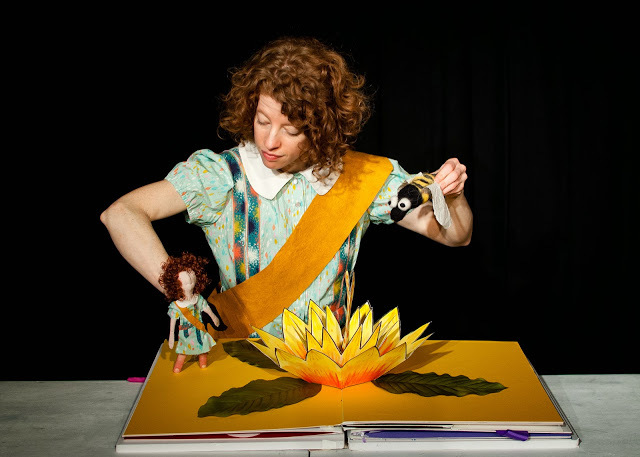 Bonnie Duncan has blended puppetry, dance, and physical theatre in surprising and delightful ways for the past 14 years. Her work has been described as 'an artful world of silent dreams, mime, and dance' (Austin Live Theatre). She has most recently been working as one half of They Gotta Be Secret Agents with Tim Gallagher. 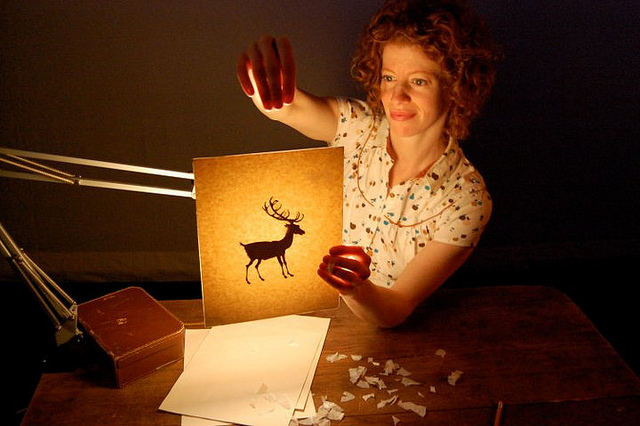 Their show, Poste Restante, continues to tour worldwide, winning 'Best Touring Show of 2011,' Austin, TX; Best of the Fringe, San Francisco, 2009; and a nomination for Most Innovative Show at Prague Fringe Festival. 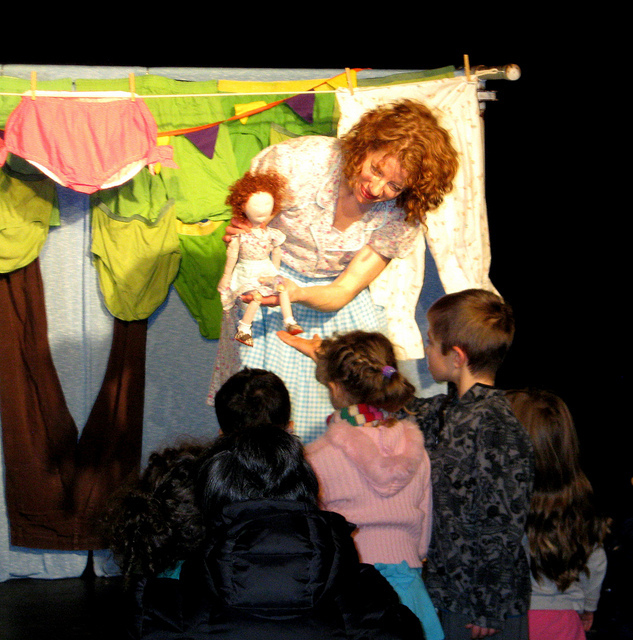 She is currently touring her solo family show, Squirrel Stole My Underpants, throughout the US to delighted audiences. She just celebrated show #100! Prior to her work as a Secret Agent, Bonnie was a company member of Snappy Dance Theater for 8 years, performing sculptural, acrobatic dances nationally and internationally. Her movement was called 'breathtakingly simple' and 'delightfully crafty' by the Boston Globe. When Bonnie is not performing, she is the mother of three young children, an avid runner, and vegan cupcake maker. This show is sure to sell quickly so make sure to get your tickets in advance! And as always, don't forget to follow us on Twitter and Instagram @Puppetshowplace and to Like us on Facebook! See you soon, Puppet Friends!